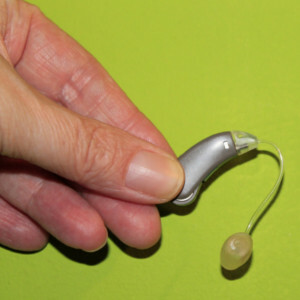 There are many considerations when purchasing a hearing aid, including its style and technological features. There are three different levels of technology in hearing aids: economy / basic, advanced, and premium technology. The costs can range from $1,200 to $3,600. At each level, there is a good option for you. Your choice will depend on your lifestyle, your hearing test results, and your budget. 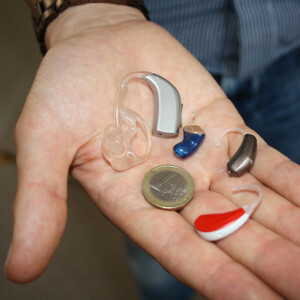 Price is directly related to the level of technology in the hearing aid. Channels give the hearing aid flexibility to better match the configuration of your hearing loss. Generally, more channels mean better sound quality. Noise reduction and speech enhancement features can greatly improve your ability to understand in difficult listening situations. Noise reduction varies from level to level. At Family Hearing Center, you always can take advantage of a trial and adjustment period, so you can be assured that you’ll enjoy the best possible improvement in your hearing. Your satisfaction is guaranteed. MediCare Part B covers diagnostic hearing and balance exams if your doctor or other health care provider orders these tests to see if you need medical treatment. MediCare doesn’t cover hearing exams, hearing aids, or exams for fitting hearing aids. Learn more about financial support for hearing aids. You may have seen hearing aid “specials” and “deals” on the Internet. Places that offer hearing aids for $500 per aid or run a special of $2,000 off a hearing aid are either not providing you with a quality product, marking the hearing aid up to offer you a large discount, or aren’t giving you complete audiological services with the hearing aids. The old adage “you get what you pay for” is an expensive lesson that many have learned the hard way. Cheaper hearing aids and minimal services add up to an unsatisfactory experience. We also hear about people who are led to believe that spending a small fortune means they are getting the best hearing aid in the world. That isn’t necessarily true either. Hearing aids are available in many different quality levels, styles, and prices, but they should always be specifically fit for the individual user. At Family Hearing Center, we will work with you to find the aid that provides you with the most hearing benefit.